The exact timing of spring break varies from school to school, but most children in Alberta will have a week off from school sometime in March. And while it would be awesome if we could all jet off to sunny Mexico or Hawaii, it may not be in the budget for all of us. No worries though - I've been spending a lot of time in Banff lately and I've got you covered with tons of fun family-friendly activities to try this spring. And they won't break the bank. Celebrate Spring Break in Beautiful Banff! Resort Skiing for a Toonie anybody? For just a Toonie per person, Alberta residents can ski at Mount Norquay on the first Wednesday of each month. March's discount day is upon us today, but the next day falls on April 2nd so mark your calendars! Want to go out to Mount Norquay during spring break? Save your pennies by skiing at this unique hill that offers hourly ski rates. Let beginner skiers practice their skills in the learning area and then buy a one or two hour lift ticket to access the beginner chairlift which accesses only green runs. The ski hill also has a tube park that helps extend your time at the hill when kids are tired from skiing. Good news for families with Children 5 and under! Toddlers and preschoolers get to ski and ride the gondola for free at Sunshine Village. If you can't afford a family ski day, you can at least take a beautiful sightseeing trip on the Sunshine gondola, have lunch at the top, and even put the kids on the beginner hill for an hour or two. You will still have to pay for your adult gondola ticket but we all need a special treat every once in a while, right? The Cave and Basin National Historic Site in the town of Banff commemorates the birth of our national parks. It was here that the first public hotsprings pool was opened for travelers to the Rockies. Now of course, the Banff Upper Hotsprings has a much newer location, but you can still visit the pool and museum on the original site. The Cave and Basin site is open Wednesday through Sunday from 12 noon to 4 pm and open late until 10 pm on Saturday nights for Magic Winter Nights. Families attending Magic Winter Saturday Nights can expect hot chocolate, skating on the original pool deck, bonfires, an ice palace and music. If you'd prefer to visit in the day time, you can still bring your skates for Banff's newest skating rink, open until the end of April. 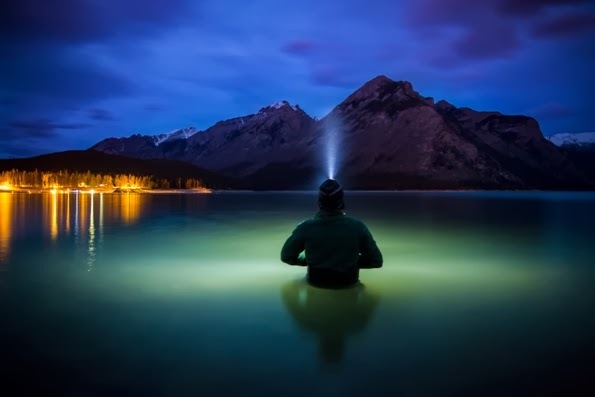 And while you're there, you absolutely must check out Paul Zizka's incredible night photography exhibit inside. "Summits and Starlight: The Canadian Rockies at Night" is only on display until March 21st so don't wait too long to visit. Finally, be sure to come back for the Return of the Banff Winter Carnival from March 26-30th. The theme is the roaring twenties complete with old time music and movies and even a mini ice palace and slide. There may still be snow on the ground but at the Banff Upper Hotsprings, it's always toasty warm! 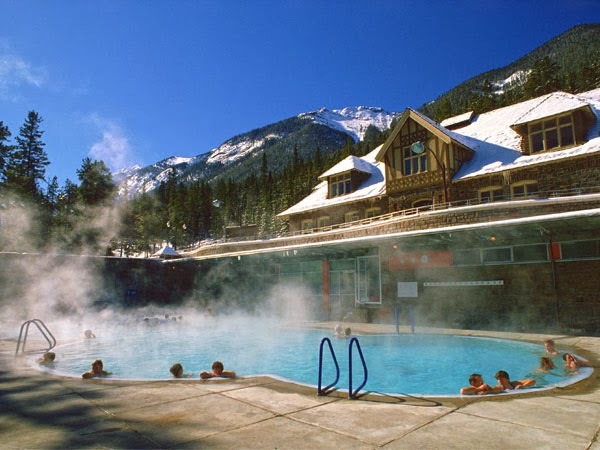 A trip to the hotsprings is the perfect way to top off a day of skiing, skating, or hiking in Banff. When is the last time you had brunch on top of a mountain? Or, took a gondola to get to your restaurant for lunch? 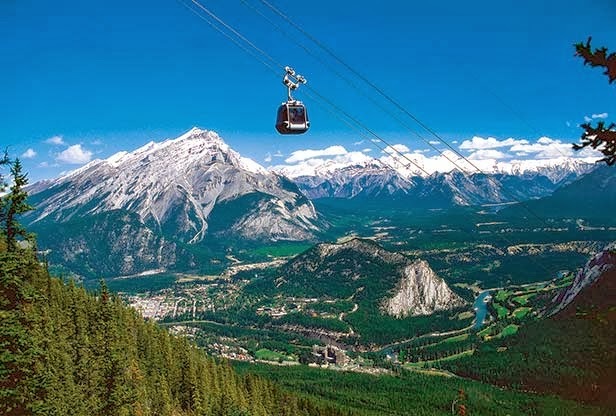 Celebrate Spring Break in style with a ride on the Banff Gondola to the top of Sulphur Mountain. Take a short hike to the top of Sanson's Peak from the upper gondola terminal and come back to the terminal for a Canadian inspired brunch, available every Sunday until May 11th. For more information, visit the Explore Rockies website. Note, your gondola ticket is INCLUDED with the brunch! Now, that's a sweet deal! You know you do, right? And yes, you can afford it with a little help from our friends at the Banff Lodging Company. If you go to their website, you'll find last minute deals with fabulous prices throughout the month of March. For only $99, you can even try out the Rocky Mountain Resort's fully renovated Wolf Condos, complete with your own kitchen to further cut down on costs while in Banff. Our family will be staying at the Rocky Mountain Resort later this month so I'll keep you posted on our experience. Disclaimer: While I gave credit to many Banff businesses in this story, I was not compensated nor requested to write this story. As always, all opinions are my own. Great suggestions. We seem to forget all the amazing resources right in our own backyard. Thanks Jody. I discover new things to do in Banff all the time.